Learning English grammar by studying grammar rules is not good way to be fluent English speaker. Because English grammar is too complex to memorize and use logically. You must learn grammar intuitively and unconsciously, like a child. Forcing speech is a huge mistake. Don’t force speech. Focus on listening and be patient. Speak only when you are ready to speak– when it happens naturally. Until then, never force it. If you want to follow Effortless English method you should not be speaking during first 6 months. In real life noone is talking like guys from textbooks, so just forget about them. Use real materials that American and British people are watching and listening to. There is no finish line for your English learning. You need to realize it. Everyone makes mistakes, even native speakers. Your goal should be to communicate with other people. That's why you are learning English, right? English school can help you with your English, but it won't learn you English 100%. You must practice your English everyday with materials you enjoy. Please share your opinions in comments! My biggest mistake was always trying to be perfect. I didn't speak because I was shy about my English level. Now it has changed I know that I never be perfect but I can communicate with other people and that was my goal. I like your blog Hubert, good luck with it! I'm making these mistakes too. And like Danielo, i was always waiting to be perfect in English so i was trying to avoid situations when i have to communicate. Now i know that i missed a lot of moments to practice. I am also making these mistakes too. I always want be perfect in English and could not improve more. Wow, there are really a lot of mistakes in this article! If you want to follow Effortless English method you should not be speaking during first 6 months. If you want to follow the Effortless English method you should not be speaking during the first 6 months. English school can help you with your English, but it won't teach you English 100%. You must practice your English every day with materials you enjoy. I am a Native English speaker, currently training to be an English language teacher. I wouldn't trust this product if I were you. It's fan website about Effortless English method. I'm not native speaker. I know my English is not perfect. I totally agree! English schools and language training centers for either IELTS or TOEFL won't be effective on their teaching if their students do not have the determination to improve their English proficiency skills. It all comes down to practice, practice, practice. Also, gather up confidence and expose yourself to the English language world. Read more English novel and watch English movies. me too, i think study english like a chidrent it make we speak very good. i think so, i always do it follow method of AJ and now i very like english every day and i use it very time. thanks your method, it very successful for every one on the world. i will study english like a native speaker. Being an English teacher via skype (markddavies) and from the UK, and having learned 3 languages myself, it is vitally important for a student to ENJOY the process of learning a language. The process is too long not to enjoy it. Indeed, you will become distracted with other things such as partners, the internet and other things. I Myself really enjoining listening the lesson of effortless english it is right that we dont have to force ourself to speak english. If really not ready to speak, most of the time we think what to say but it takes time to comes out from our mouth automatically. Being a australian working in a ausssie environment i have to speak english. 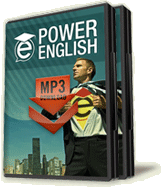 Before i was not satisfied for myself that my speaking is not excellent but later when i started listening effortless english lesson i really getting confortable to speak a lot,slowly. Practice your English speaking with Top IELTS speaking topics appeared in subsequent IELTS Speaking Exams. Taking in English sentence structure by mulling over punctuation guidelines is bad approach to be familiar English speaker languagedirect.org. Since English sentence structure is so intricate there is no option retain and utilize sensibly. Call 1-855-637-4055 to acquire a expert psychic reader. I'd like take ones time in order to tell you about MY PERSONAL latest the very best rune guide web page. I has been previously functioning definitely difficult, thanks for allowing me to share the actual with you. Trying to understand how to write a high school graduation speech, eh? Well, here's a guide!